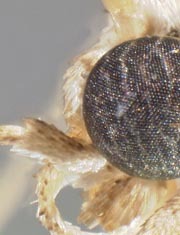 Forewing length: 5.7 - 8.0 mm, relatively broad. 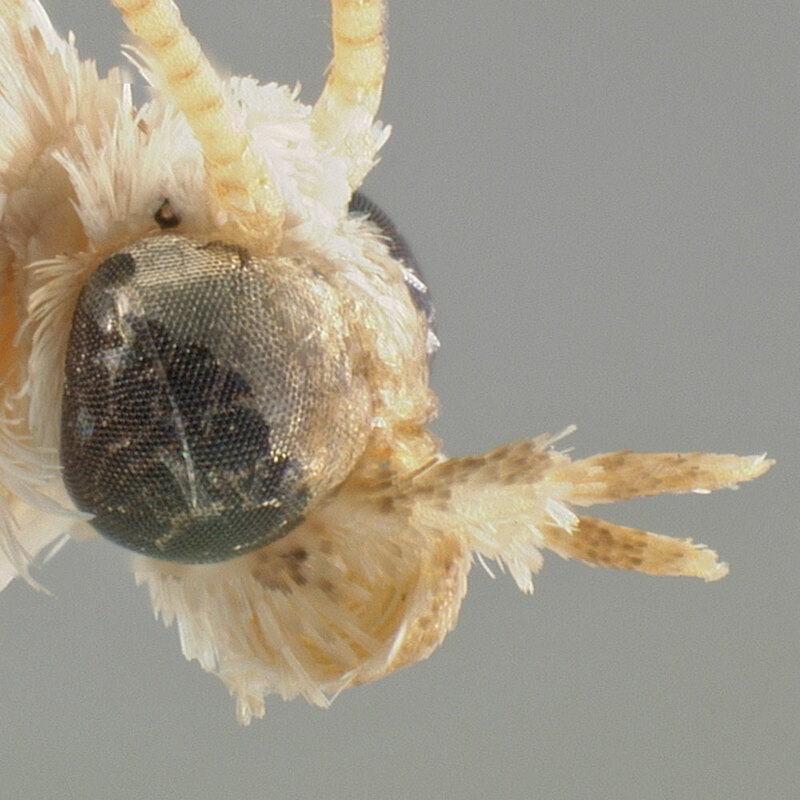 The antennal sensilla are short and dense. 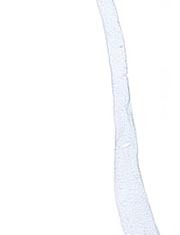 Male genitalia have a scoop-shaped fibula in the distal half of the valve, an inflated sacculus, and a triangular hook on the side of the phallus. 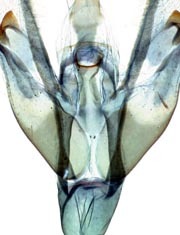 Female genitalia have an appendix bursae extended from the corpus bursae. 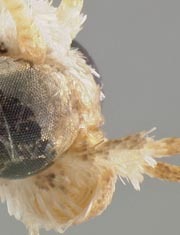 The ostium has a pair of small, weak sclerites. 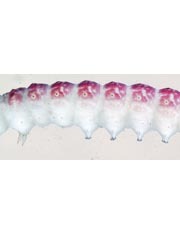 Full-grown larvae are 11-12 mm long and pink. They resemble other fruit-boring relatives, having one SV seta on A1 and the SD seta of A8 anterior of the spiracle. 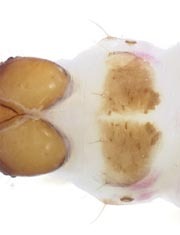 The prothoracic shield is pale brown with slightly darker spots on the middle posterior margin. 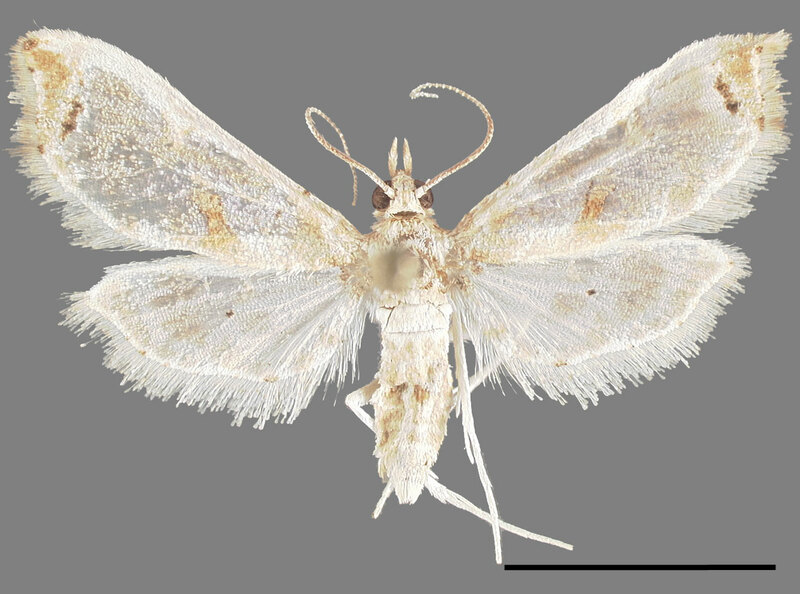 The pinacula are pigmented, and the D1 pinacula have a small spot anterior of the seta. 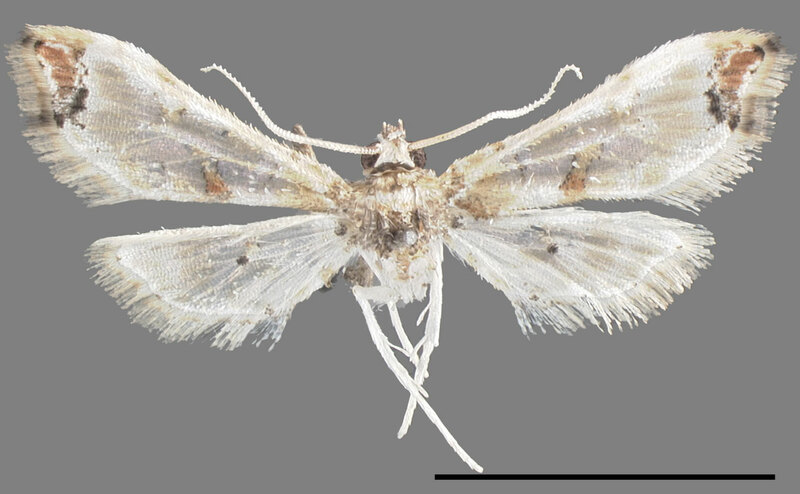 Neoleucinodes torvis generally resembles other species of Neoleucinodes but is smaller than all. 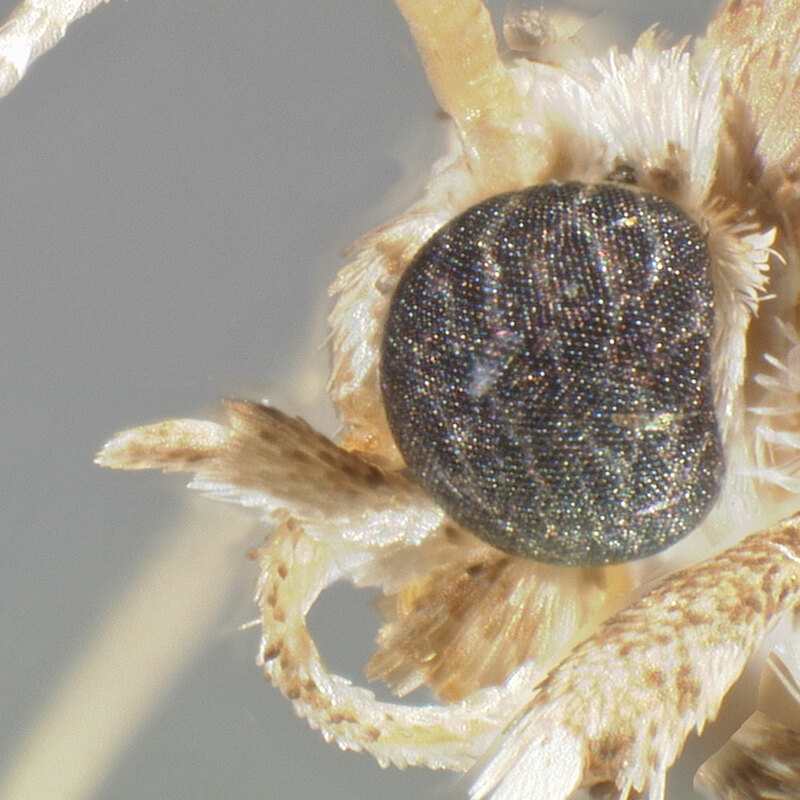 Most other species have longer, ciliate antennal sensilla. 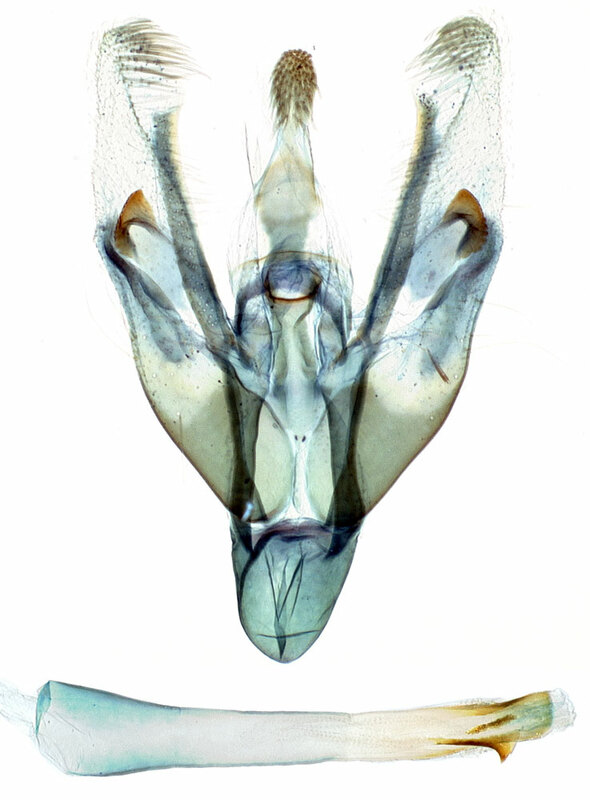 Neoleucinodes imperialis (Guenée) also has short sensilla, but it is larger, has a white anterior abdominal band, and two fibulae on the male valvae. 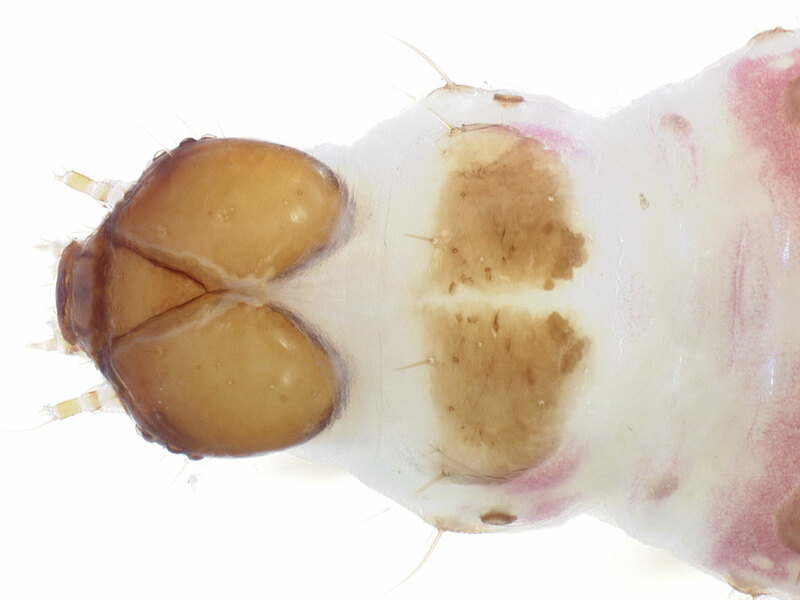 The larvae of N. elegantalis have pinacula without pigmentation, and the D1 pinacula do not have an anterior spot. 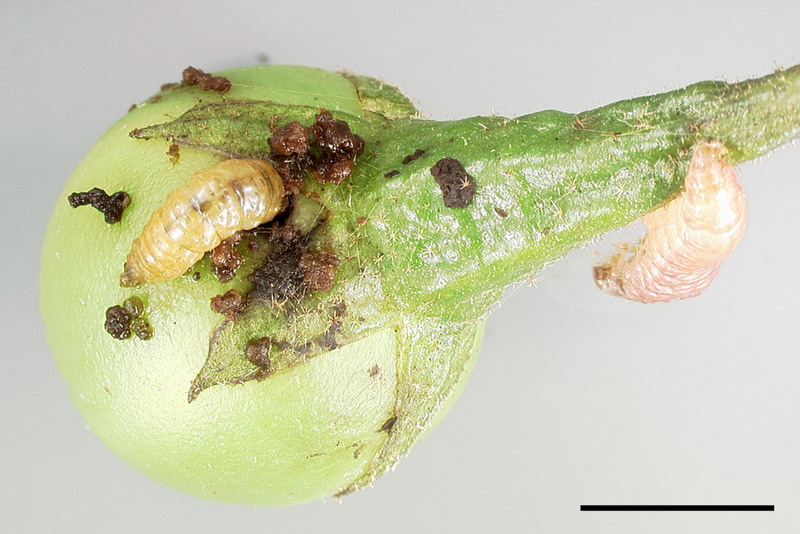 The larvae feed in the green fruit before it matures, commonly boring next to the calyx. One larva is found in each fruit. 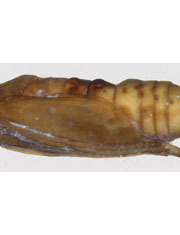 Pupation lasts 11 to 13 days in a thin silken cocoon outside the fruit. 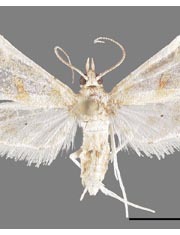 The species is widely distributed in the Caribbean, Central, and northern South America. In North America, it is rarely encountered in southern Florida. It also occurs in Brazil (MG), Colombia, Costa Rica, Cuba, Dominica, French Guiana, Guatemala, Guyana, Jamaica, Mexico, Panama, Peru, Puerto Rico, Surinam, and the Virgin Islands. The species’ presence in Florida has been recorded only recently. 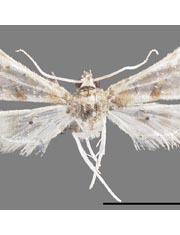 A few adult specimens were caught in Homestead, FL in the 1980s and 1990s (T.S. Dickel). 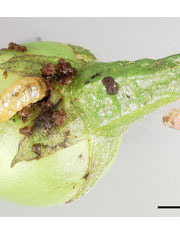 A population of larvae was discovered very recently infesting Solanum torvum in Broward County, FL.